I look at this selection of my favorite photos from the year and it makes me wonder – how is it that I went through all this trouble to capture all these images? One whole year of work, and all I have to show for it is a collection of images. I battled through the cold, the hot, the terrible shooting conditions, even altitude sickness. You could draw parallels with eating a huge feast – the last thing you want to do is think about food, but as soon as you get hungry again, food is all you can think about. So while I may not be hungry to shoot pictures right now sitting at home in front of my computer, as soon as I step in front of an interesting car, or as soon as I step trackside, I have a massive appetite once again. Capturing images feeds my soul. It’s what I was meant to do. When I am wet and cold, with blisters on my feet and a camera in my hand, I am in my happy place. People always ask me for photography tips or how they can hunt speed on their own. The answer is so simple – just go outside, get off the computer/smartphone/tablet, and pick up one of the many image-capturing devices that we have at our disposal in this day in age. The cool car culture won’t come to your doorstep, you have to go out and actively search for it. The images I’m about to show you may not have the best compositions or most interesting subject matter, but they mean the world to me. So I hope you enjoy them, as well as the little insights I’ve added. To me, it’s crazy to think that such a tiny shop and a simple idea could change car culture forever. While Kei Miura did not invent overfenders, he came to market at the right time with the right product and changed the way we see overfenders on all sorts of different cars. Heck, now we even have our own body kit designed by Miura-san. This year I had the pleasure of spending time with Mr. 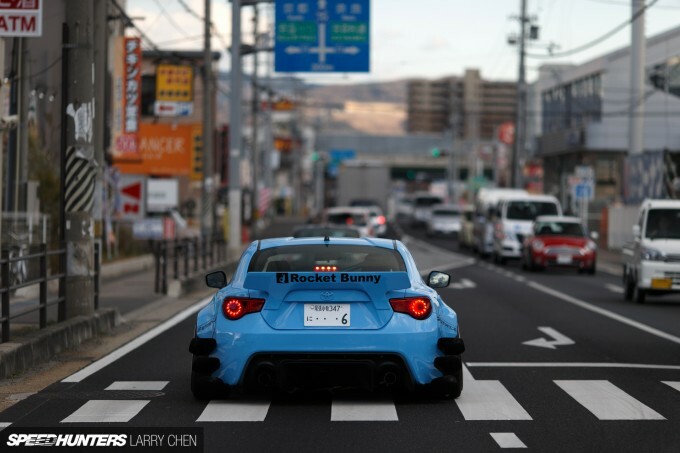 Rocket Bunny himself as he showed me a little bit of his past in his home town of Kyoto, Japan. On the same trip the Hashimoto brothers took me to many shops so I could check out some rare cars. 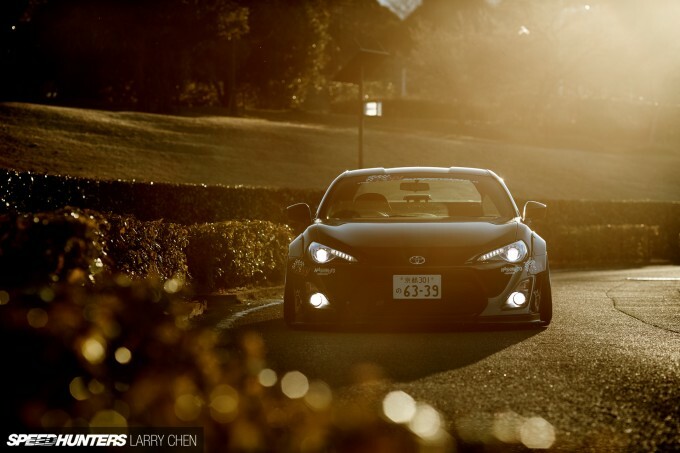 I also had the chance to shoot Miura-san’s personal Rocket Bunny Version 2 Toyota 86. Since the site was flooded with these cars, we figured it would be better if I did not write it up as a car feature, but as a tutorial to shoot cars on the go. 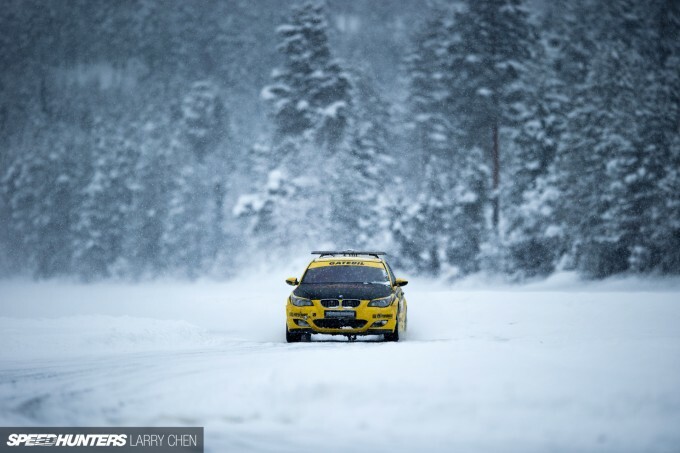 I took a trip to Planet Hoth this year for some drifting action. You guys may laugh at my Star Wars reference, but the ice world scenes were actually shot not too far from where they were holding Gatebil on Ice. It was very difficult for me to shoot this event. Not only did I fall through the ice, but it pretty much didn’t stop snowing for the entire event, which made it very hard to see or shoot anything at all. 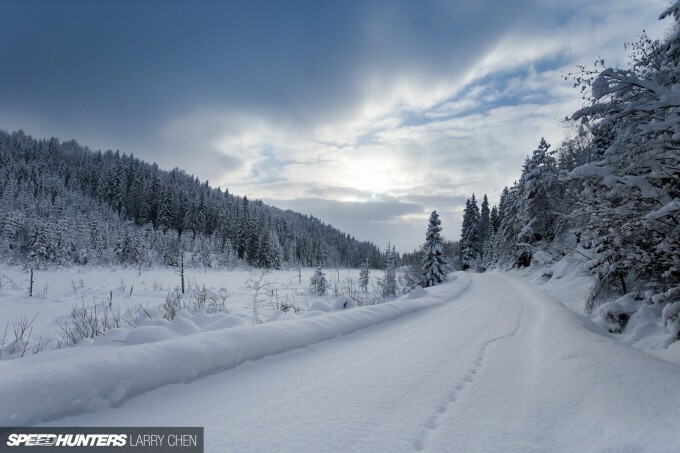 There was one moment when the snow subsided and the sun momentarily peaked through the clouds while I was riding snowmobiles for the first time. It was absolutely gorgeous. I love going to Norway, and I can’t wait to go back to freeze my behind off again. When I asked Bisi Ezerioha if he could do a burnout in his 1,029hp Honda Odyssey minivan, his eyes lit up. Then he told me that he had never tried it before with the van… He revved it to redline and dropped the clutch, and it stalled. He tried again and it stalled once more. Then he said “let me try it in second gear.” Bisi then proceeded to do one hell of a smokey burnout! 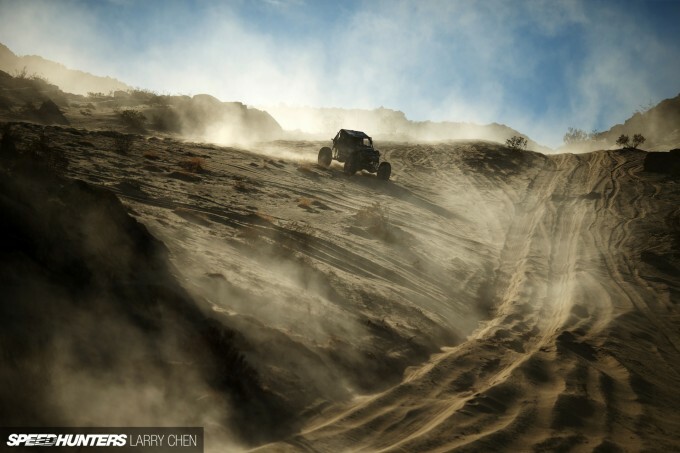 If you can only make it to one off-road race next year, then you have to check out King of the Hammers. Without a doubt, it’s one of the coolest races I have ever experienced. 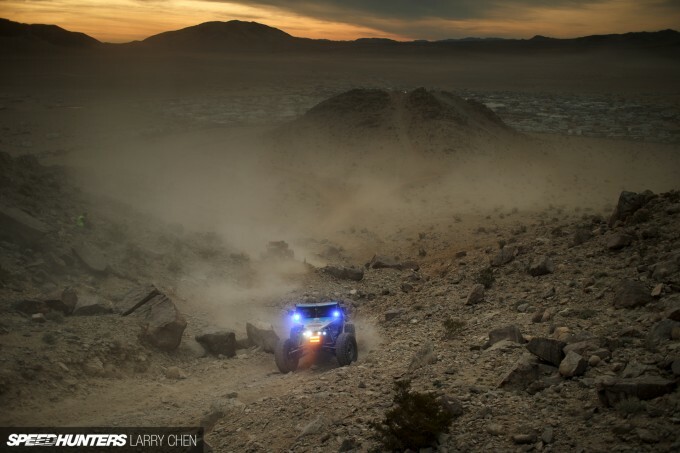 The best part are the fans – they bring their own rock crawling rigs and attempt to tackle the most famous trails. I went into more detail about what it was like in my article here. 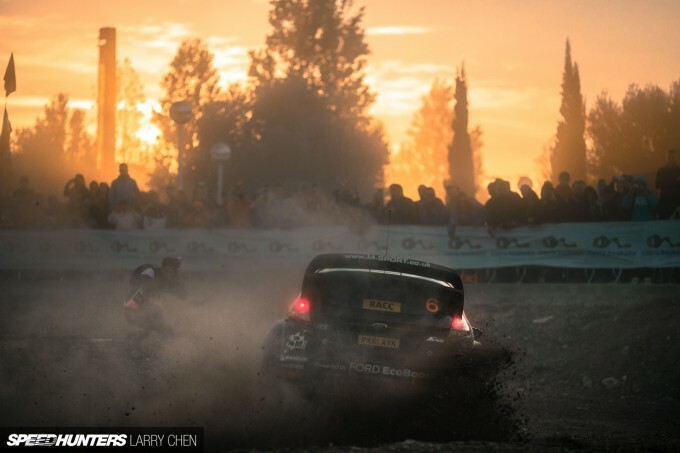 Just like following a special stage rally, you essentially have to run your own race in order to stay ahead of the teams that you are following. If you don’t you’ll just end up with just a few photos from an entire race weekend. In this motorsport it’s quite normal to see rigs belly side up. 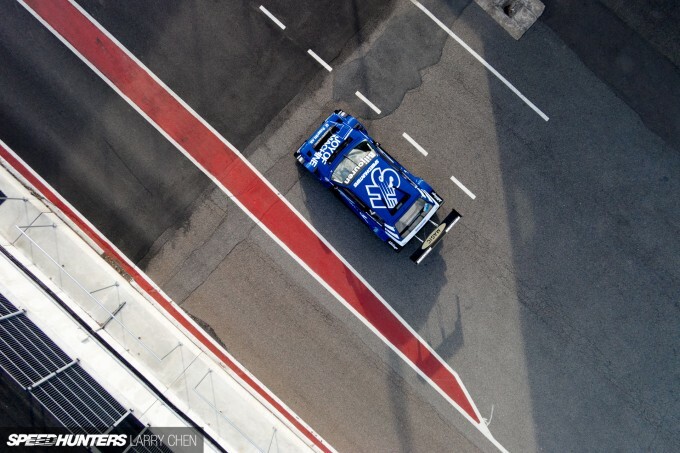 Only around 30 per cent of the starting field make it to the end of the race, so just finishing is a feat in itself. I’ve been attending King of the Hammers for a few years, but I always seem to find new and interesting places to shoot from. I climbed a few hundred feet to check out the peak of a mountain and found this amazing scene on the other side. The harsh weather and gusting winds make it a very hard event to shoot, but at the end of the day it’s all worth it when you end up with images like this. 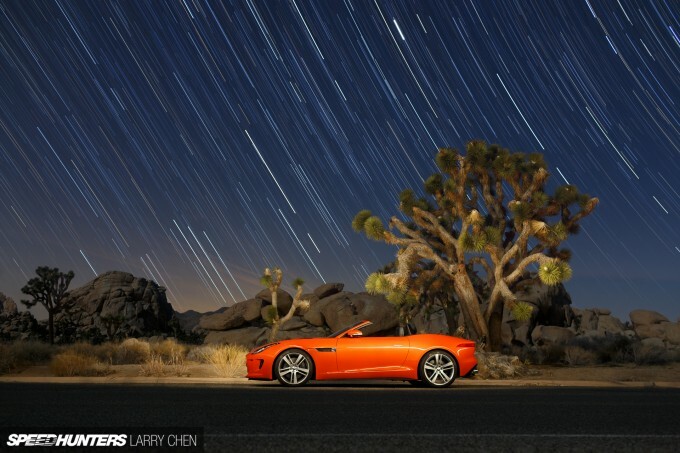 For a long time I had wanted to incorporate star trails into a car feature, but it was hard to convince an owner to leave their pride and joy with me overnight. But when Jaguar lent me my their new F-Type for an extensive road test, I took the opportunity. 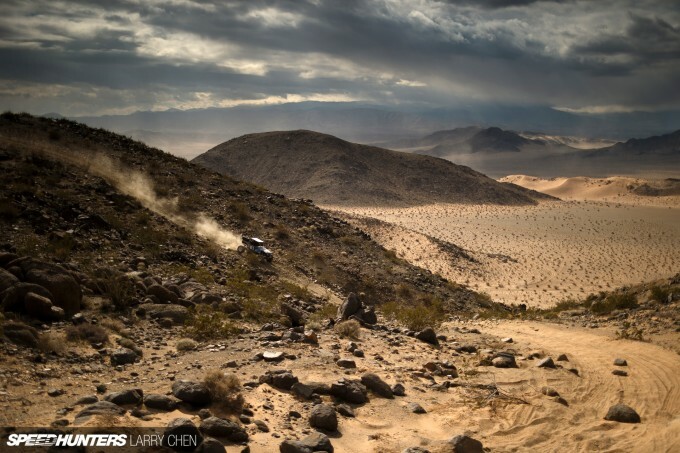 My next off-road adventure took me to the outskirts of Las Vegas for the Mint 400 race. 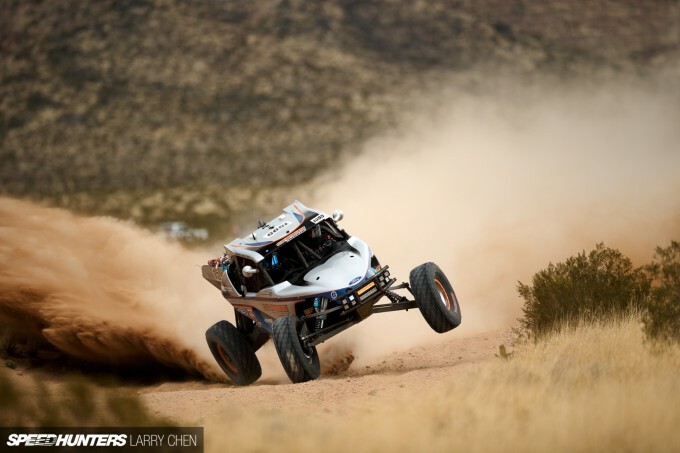 While rock crawling is cool, there is nothing like watching trophy trucks and dune buggies go full-tilt through the sand and silt. 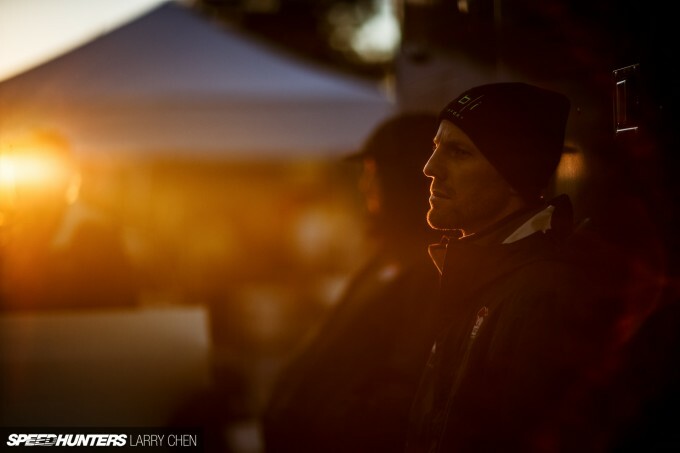 I followed the race from dawn till dusk, and you can find my full write up here. 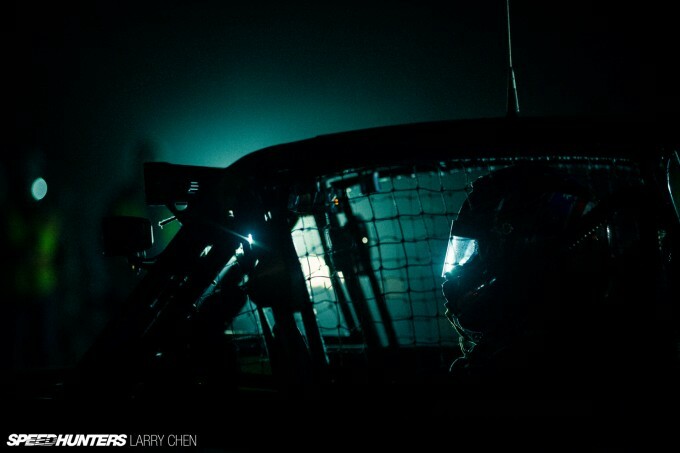 It was hard enough for the photographers to wake up at 4:00am in the morning to make it to the starting line in time, so I imagine that the drivers and teams don’t get much sleep during the night before the big race. 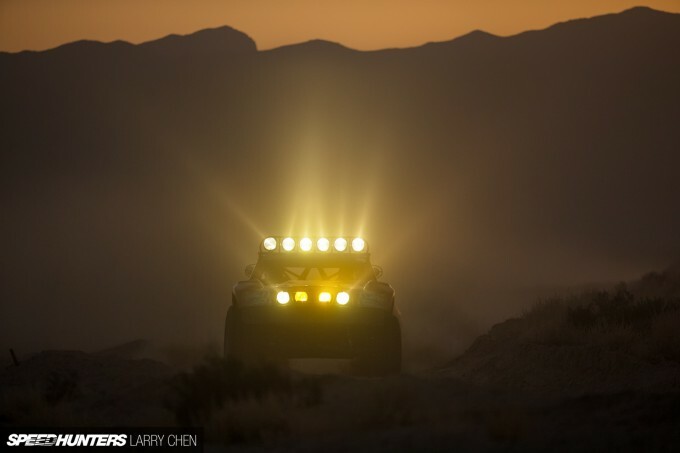 There is a certain beauty to off-road racing that is unlike any other kind of motorsport in the world. It’s simply magical. 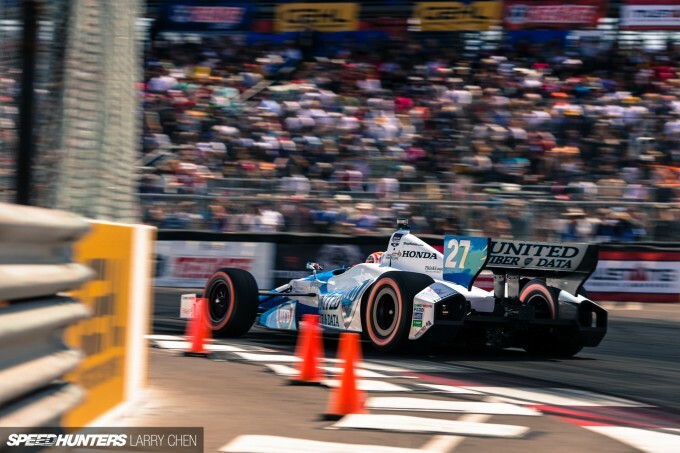 While I didn’t make a post about it on Speedhunters, I shot the 40th running of the Long Beach Grand Prix – my 11th time shooting the race. 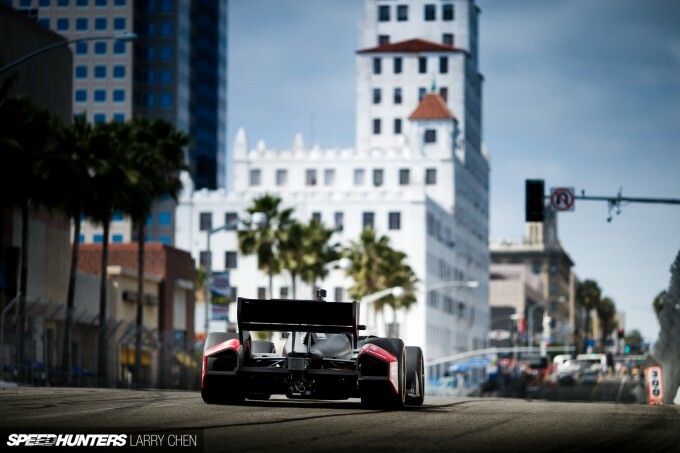 The Champ Cars may be gone, but I still think this is one of the coolest street races in the world. 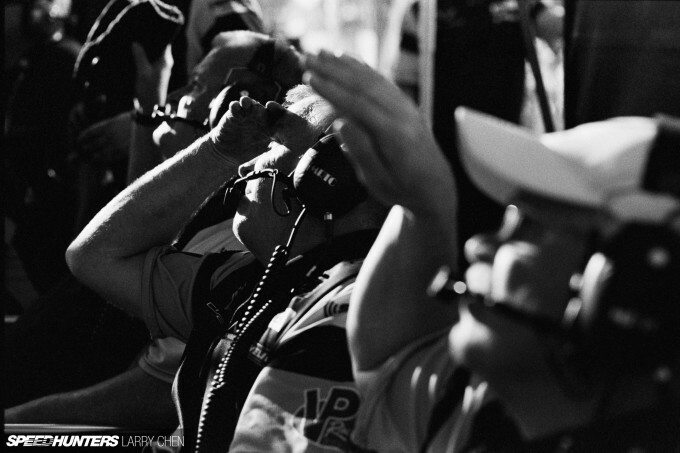 To try something new I made a point of shooting the IMSA race entirely on black and white film. 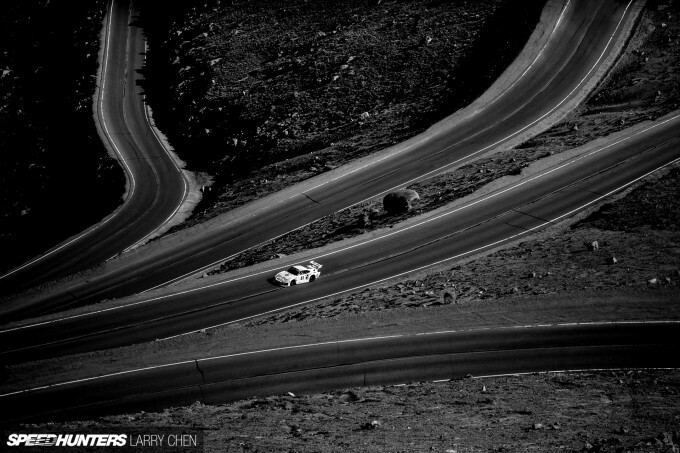 It’s crazy to think that motorsports and cars in general were shot with black and white film decades before color film was even invented. This is what motorsport photography was like way back then. 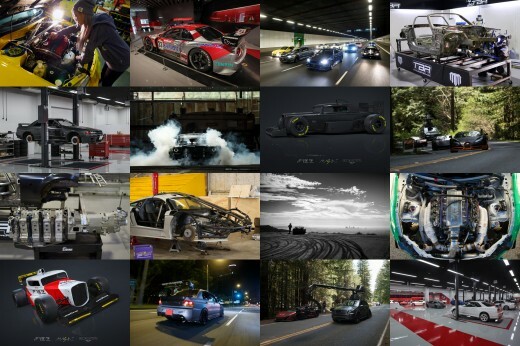 While events are fun to shoot, we all know what the Speedhunters readers really want – enough feature cars to make your ears bleed. While we all may not agree on every single car, you have to admit that there’s a place in car culture for low and slow. Except, this S7 was not slow at all. 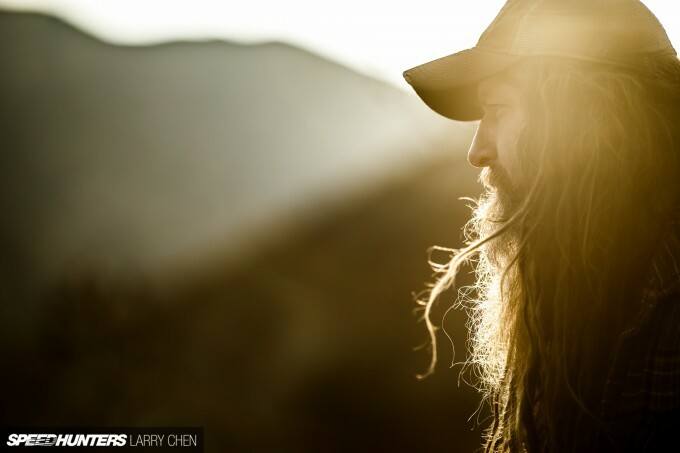 I’ve known Magnus Walker for three years now, and everytime I shoot one of his cars or go on a cruise with him, I feel like a kid again. His enthusiasm for car culture is immense. While many 911 SCs have been treated to mild builds, Magnus put his own touch on this ’78 and it pretty much broke the internet. The car drives fantastic, and it really shows that you don’t need a lot of horsepower to have fun. Given the prices that 930s are attracting these days, I know there are lots of people out there who are wishing they had jumped on the 911 band wagon a few years ago. While Magnus’s blue Turbo is mostly stock, it has a tuned exhaust that makes it sound unbelievably mean. It pops and crackles like you would not believe – exactly what a 911 Turbo should sound like. 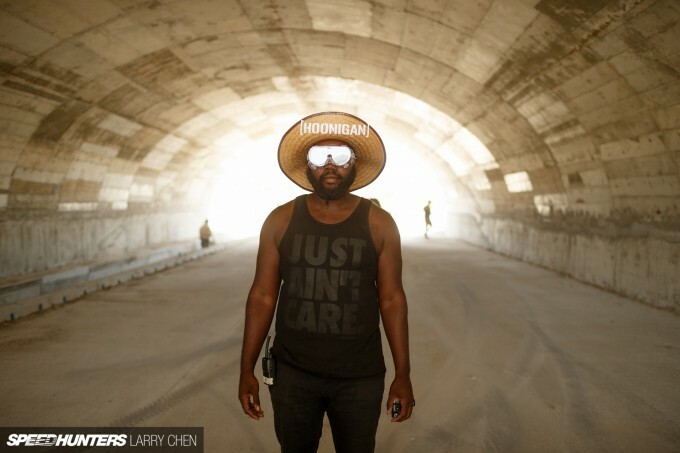 For this shot people think that we closed down the 2nd Street tunnel in downtown Los Angeles. In reality though, it was 9:30pm and I just stepped off the sidewalk for 15 seconds to take this shot. I tried my best to try to get an iconic rolling shot with downtown Los Angeles in the background, but this was the best that I could manage. 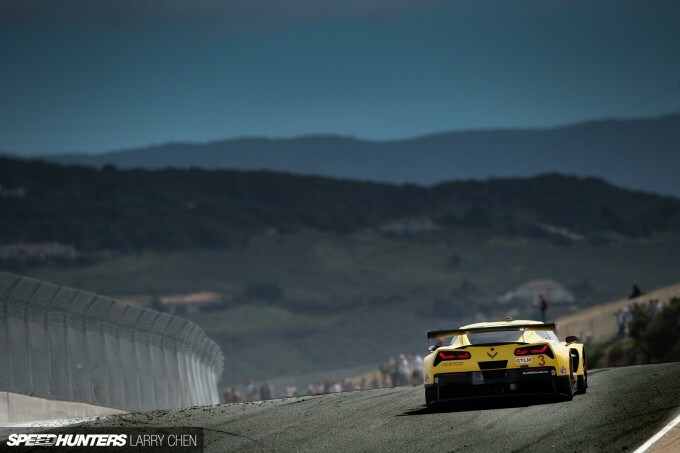 I was very honored to have this photo become the cover for our very first Feature Car book. 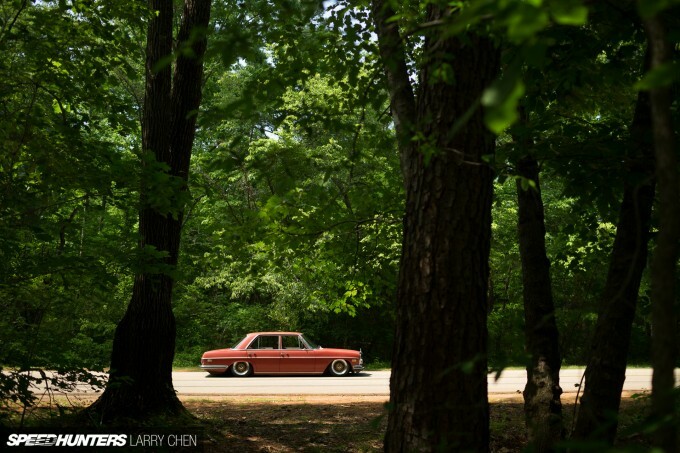 Some of my favorite shoots are the ones that our resident American car guru, Keith Charvonia, sets up. 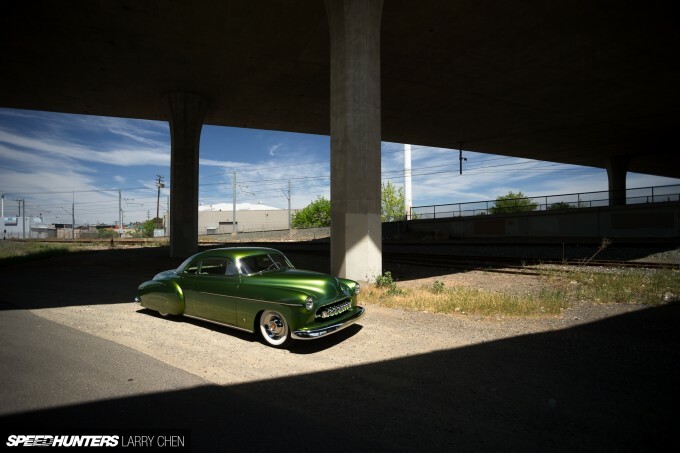 While I think this ’49 Chevy Coupe is awesome looking, I did not know much about it before I shot it. From a visual standpoint, it’s absolutely stunning, which makes me wonder how is it possible that other car enthusiasts could hate on it? Appropriately named ‘The Devils Lettuce’, I think it’s one of the best looking customs I’ve ever shot. 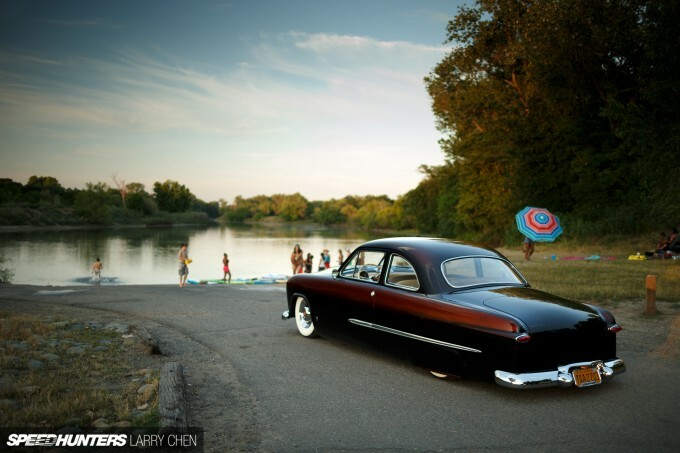 Lucky 7 Customs, the same guys who built the Chevy Coupe, also built this awesome ’49 Ford Club Coupe named ‘Sweet Brown.’ I can only imagine how fun it would be to cruise around in this thing low and slow. This is exactly the kind of car culture that I need to learn more about. 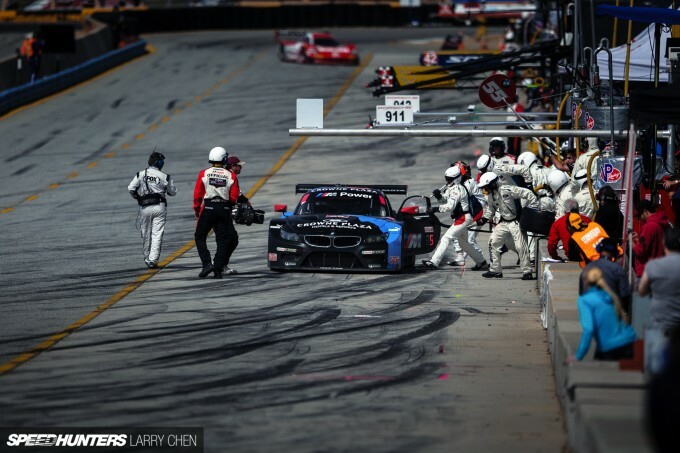 This year I took a bit of a break from shooting sports car racing. 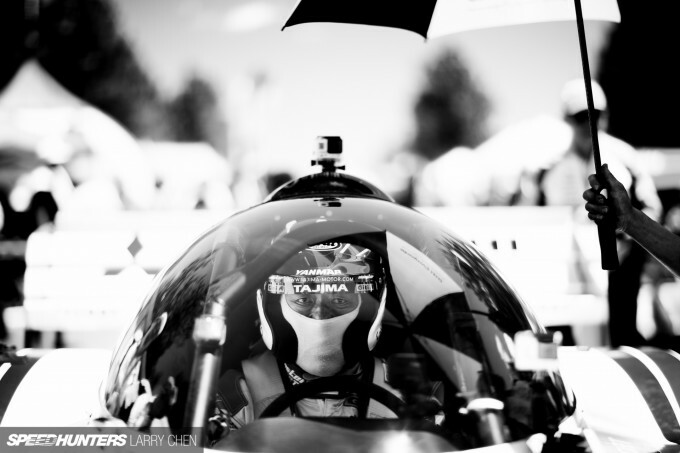 That’s very unlike me because I love endurance racing, but I figured it would be good to shoot different things. It’s hard to justify going overseas to shoot the same race year after year. However, I still got my racing fix in at local tracks. 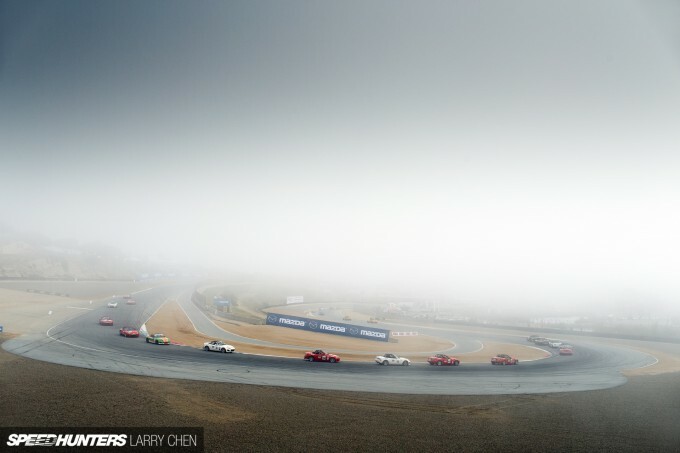 Up until this year I had never shot at Laguna Seca. I made my way up to the area for the Monterey Grand Prix, and was most definitely not disappointed. There were many different series running during the weekend, including the always fun to watch Mazda MX-5 Cup. The main race was super short so it did not allow for any dramatic lighting, but there were still plenty of awesome angles to shoot from. This is one of my favorite shots, and it came from a spectator area. I was crossing a bridge when I saw this angle and knew that I had to wait for a car to go by before I could continue on my way. Hopefully I can get some 24 hour races in next year. 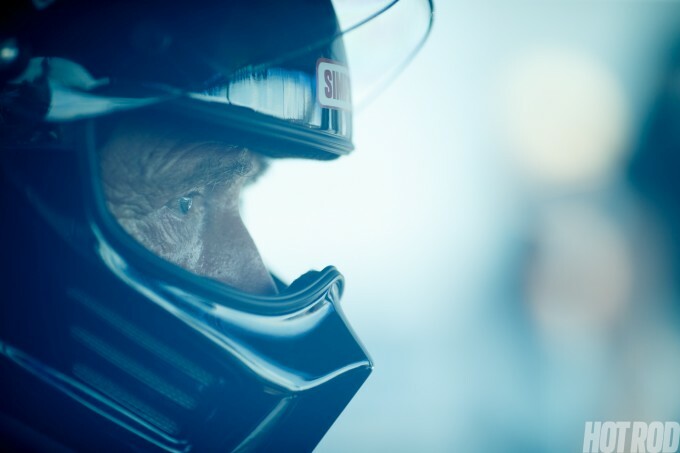 Even though I always wonder why I put myself through such agony shooting day/night endurance races, the pictures I end up with are totally worth the loss of sleep. 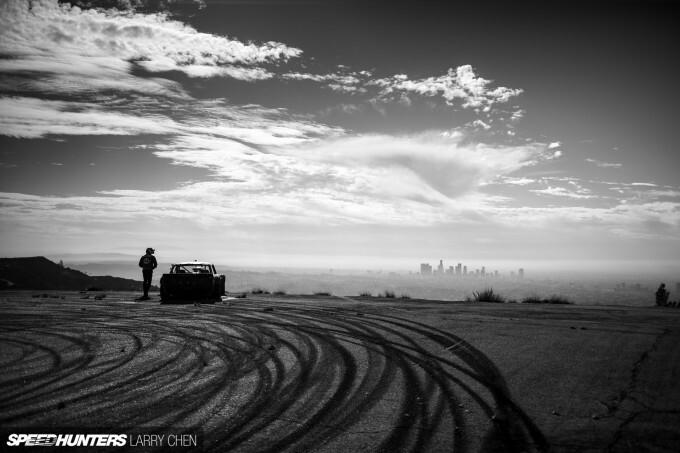 If you guys are wondering why there are no drifting photos in the mix here, it’s because I dedicated an entire post to drift event imagery here. What I am doing though, is including the car features that I’ve been shooting at every single Formula Drift round. This Mercedes-Benz that runs on hydraulics has so much style, and it just looks amazing with the perfect amount of patina. I don’t know what you guys think about it, but I always find myself shooting the scenery along with my regular car feature shots, just to set the scene. When Jaguar handed me the keys to a hundred grands worth of XFR-S I took it out for a night of fun, and I ended up with some nice shots. This single shot of an LAPD officer was my favorite though. 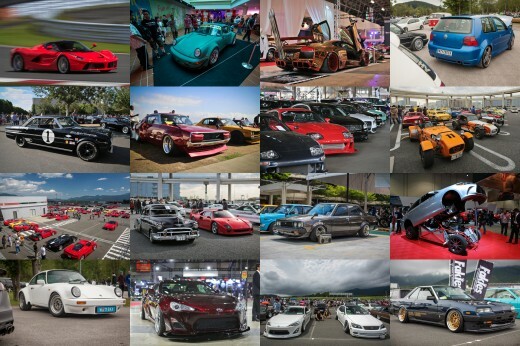 I have been attending Gatebil since 2011 and since then we have covered it extensively. Up until this year I had never been to the Swedish event at Mantorp Park though, so I figured I should give it a go. 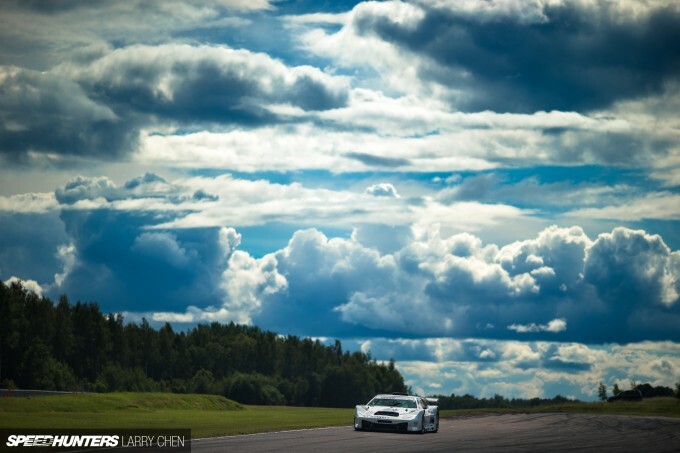 The track itself was pretty ordinary, but as usual the Scandinavian clouds provided some excellent backdrops. 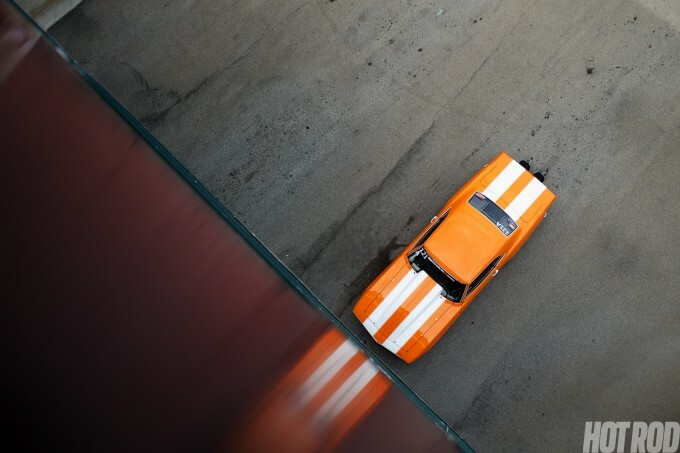 While it’s cool to shoot a bunch of cars drifting on the track at the same time, I decided to focus on car features this time around. I fell in love with this 996 Turbo with a 997 front end the moment I saw it. The conversion really does fix the biggest flaw with the 996 Turbo – those ‘fried egg’ headlights. 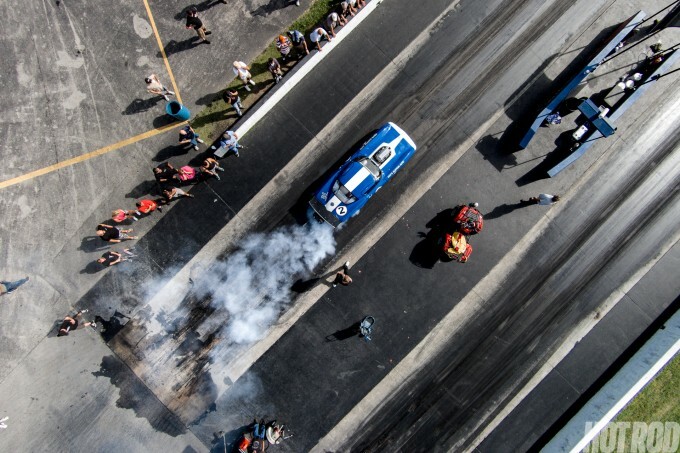 In addition to the feature cars that I shot, I also figured it would be a good time to show the event from a completely different angle. I did so by dedicating an entire post to pictures shot from the sky. 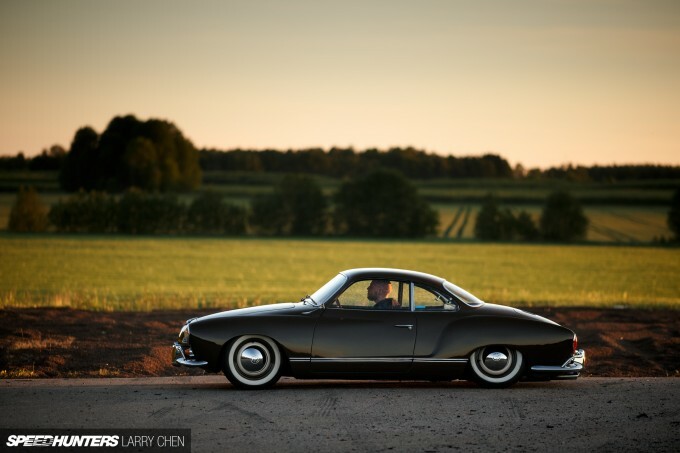 Among all the crazy high horsepower builds that you see come out of Scandinavia there are also some low and slow treasures, like this stunning VW Karmann Giha. Back in the US, there was plenty more to shoot. 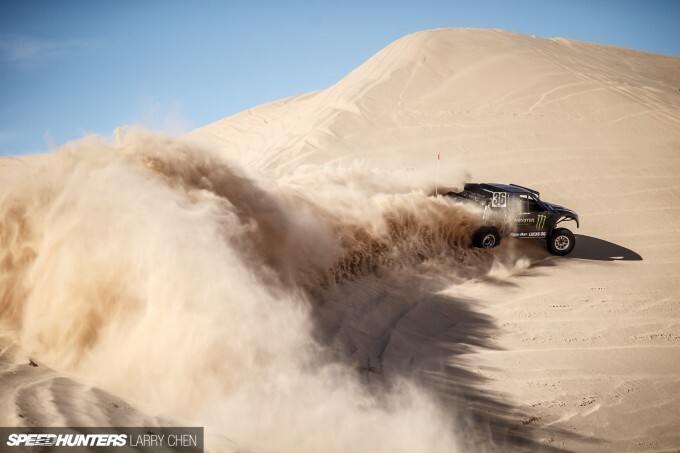 Both Vaughn Gittin Jr. and Chris Forsberg are at the top of their game – they started drifting together and 11 years later they are still the best of friends. 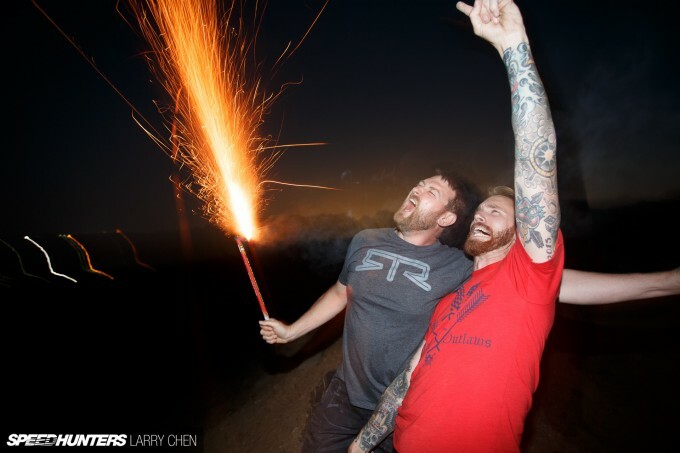 It’s always fun to hang out with this duo, especially when there are fireworks to shoot off. 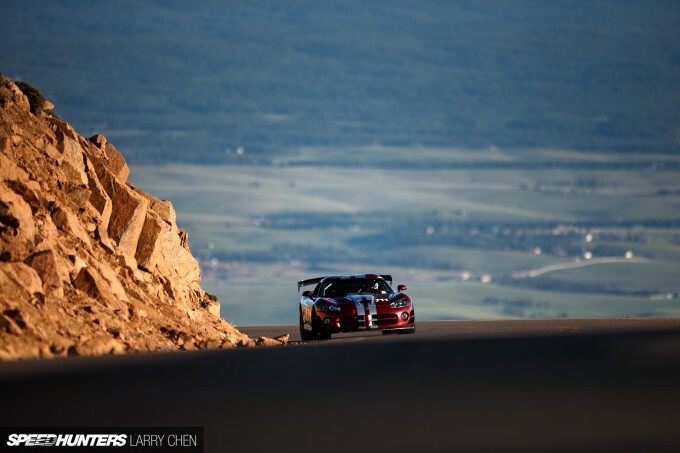 Pikes Peak is without a doubt my favorite event of the year. I was lucky enough to experience the dirt before the road was paved, so it’s been an interesting to watch the race evolve. 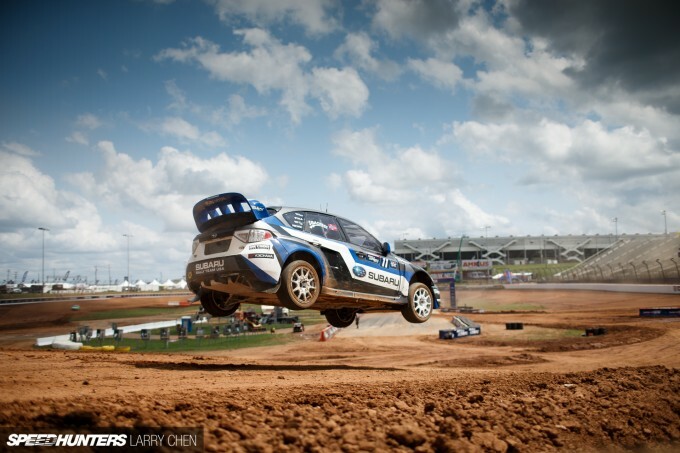 Because it’s fully paved now, the event has opened the door to cars that would normally never attempt to drive on dirt. Of course, it doesn’t make the race any less challenging. In fact, it’s probably more dangerous than ever now. Even for the veterans it means driving much closer to the limit to shave off precious milliseconds. For the past few years I have been following Jeff Zwart very closely. 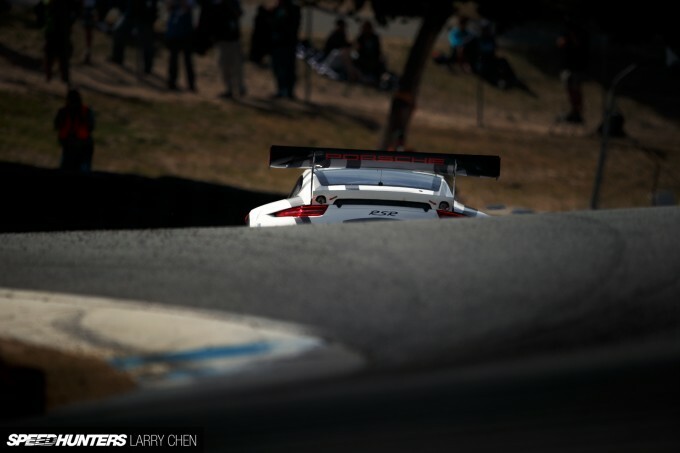 Of all the machines that tackled the mountain this year, his Turbo GT3 Cup car was my favorite. The mad scientists at BBI Autosport, Joey Seely and Betim Bersha, built it from the ground up to be one of the fastest 997 Cup cars in the world. There is just something amazing about seeing giant flames shoot out from behind the Porsche as it climbs at an incredible rate. 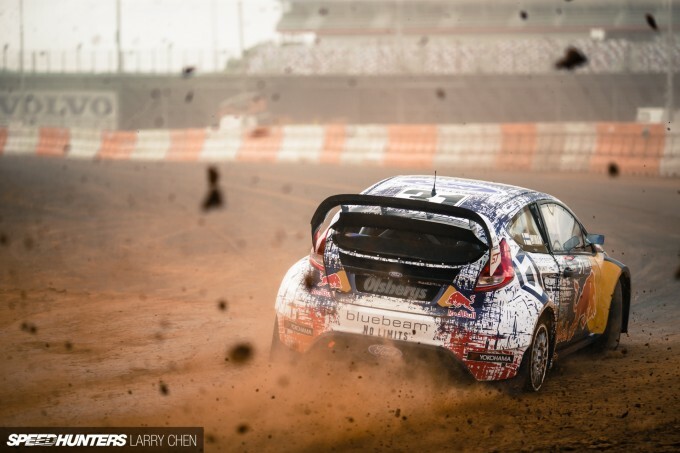 Will we ever see a team step up to challenge Sébastien Loeb’s record? If it ever happens, you can be sure that I’ll be there. 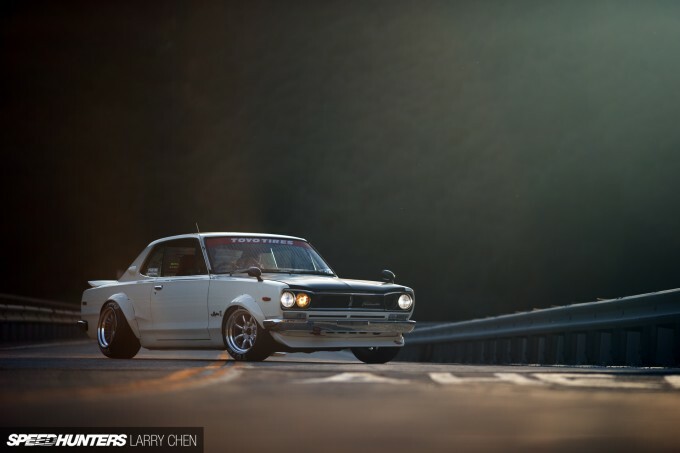 Imported right-hand drive cars are always are rare sight to see in North America – but when it’s a Skyline, it’s extra special. Whether it’s an R32 or an old school variant like this Hakosuka that I shot in Los Angeles, people will stop traffic to get a picture of one. 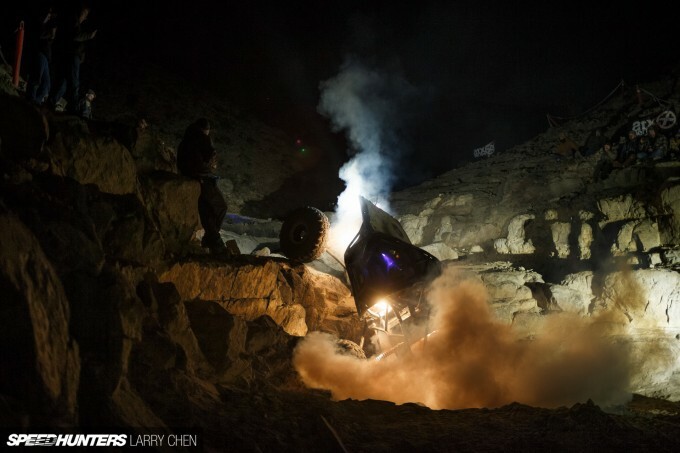 To actually qualify for King of the Hammers, teams have to compete in many Ultra4 events. This one at Glen Helen Raceway was local me, so I made sure to check it out. Many of you know that I am the official photographer for Formula Drift, but what you guys may not know is that I also wear the same hat for Red Bull Global Rallycross. Because there are many scheduling conflicts, I only get to shoot about half of the races of the season though. I was bummed that I could not make it out to Bonneville for Speed Week this year, but then again, I am kind of glad that I did not make plans to go because it was totally canceled for 2014 due to rain. When I first saw Frank Profera’s Lotus, I knew it was special. 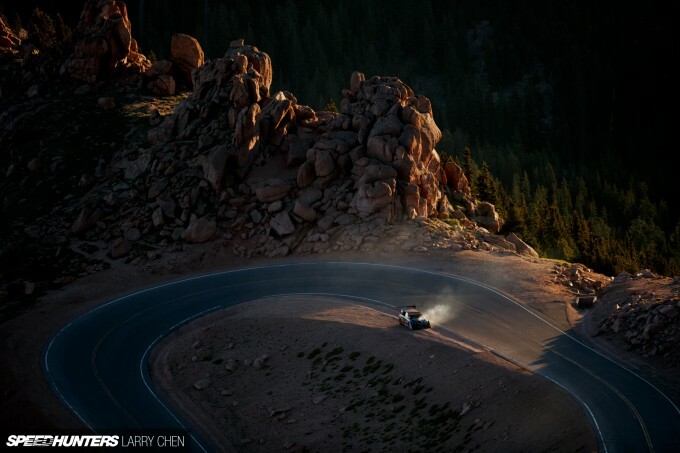 It easily won our 2012 Speedhunters Street Car of the Year award, so I guess I wasn’t alone in that thinking either. What I didn’t think Frank could do is improve on such a crazy car, but he nuts on it and now we have the Ronin 211 RS. When I got the call to head down to Mexico for the BJ Baldwin’s Recoil 2 shoot, I did not hesitate for a second. I packed my bags and headed straight for the border. Of course, I had to swing by and pick up my good friend Hert, who works at Hoonigan. 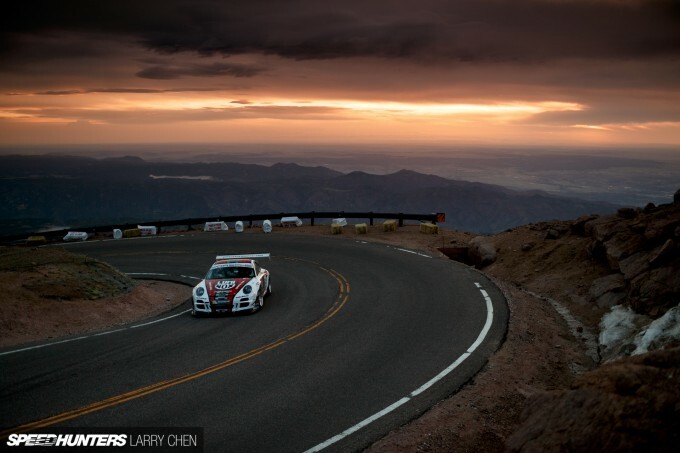 He was the director of GoPro onboard shots, and drives a badass FC RX-7. Shooting down in Mexico for the first time was a very eye-opening experience for me. 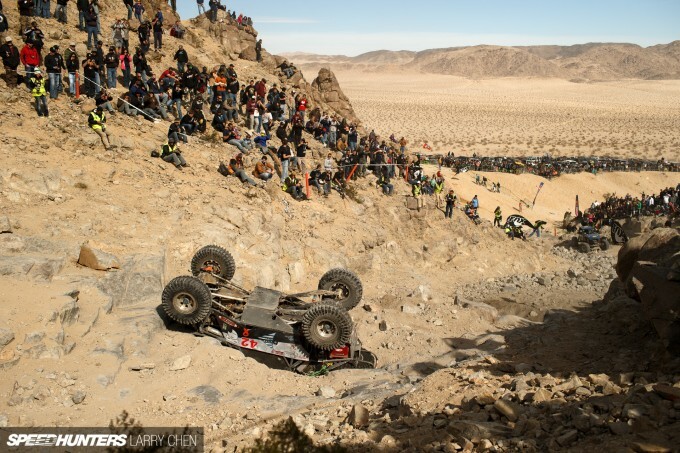 I just couldn’t believe how much the fans loved BJ Baldwin and his trophy truck. They were some of the hardest shooting days that I’ve ever experienced, but it was totally worth it. My only gripe was that the post itself did not get as many views as I was hoping for. 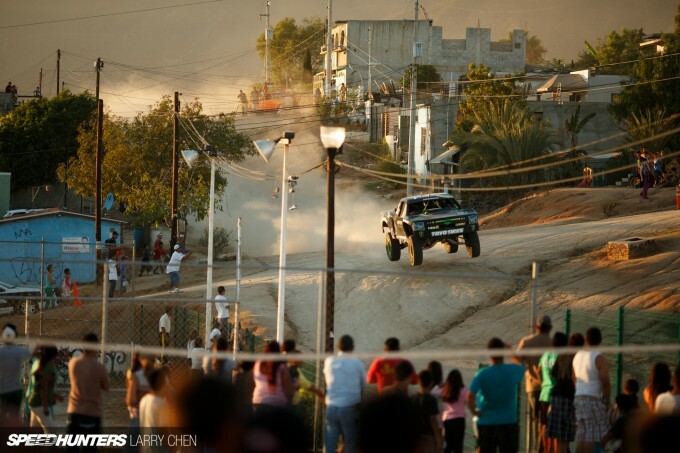 Don’t you guys like cool jumping trophy trucks? Go check it out now! On the way to Pebble Beach this year I decided it would be a good idea to pick up a car feature or two along the way. This one generated a lot of opinions, but I guess it wouldn’t be very fun if it didn’t. Am I right? 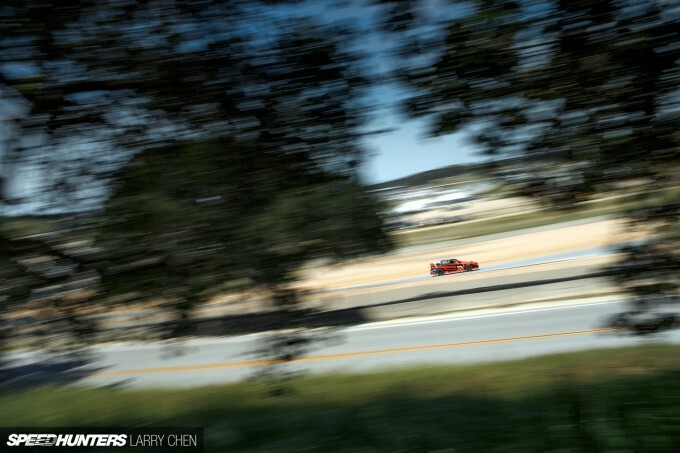 While at Pebble Beach, I had one glorious hour with the Lamborghini Huracán. 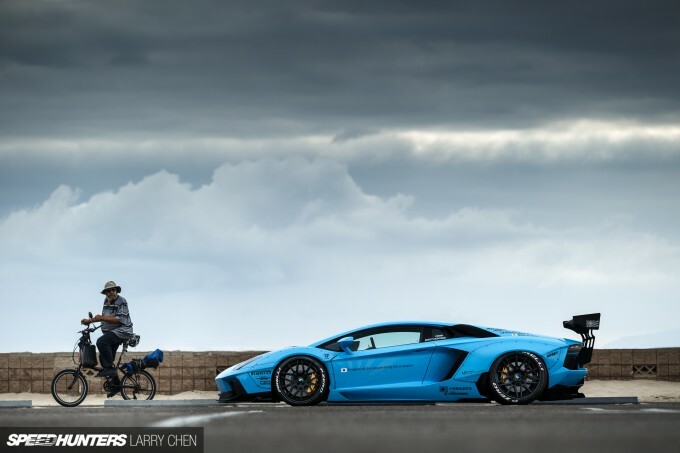 While I’m not really into supercars, I can definitely appreciate them and what they do for the motoring world. Aside from shooting for Speedhunters, I also shoot for a few print magazines as well, and Hot Rod is one of my favorites. 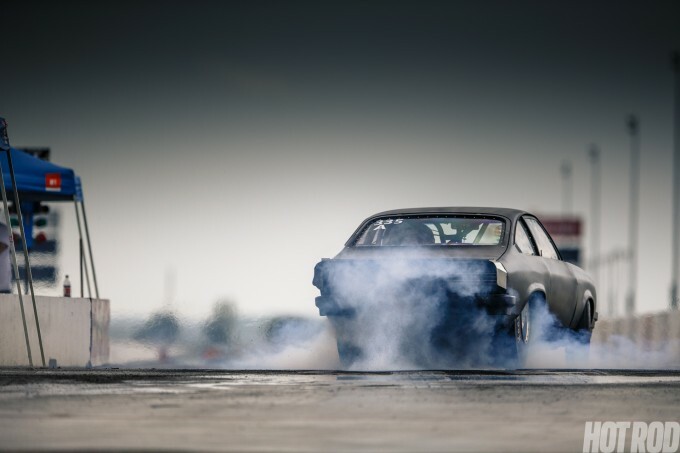 This year they invited me out to shoot Drag Week, which is pretty much endurance drag racing. 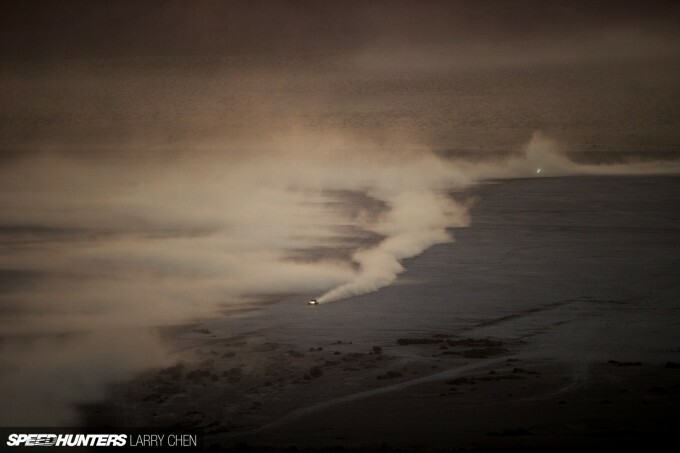 I am very proud of the photos, so I just had to share a few here on Speedhunters, with Hot Rod‘s blessing of course. 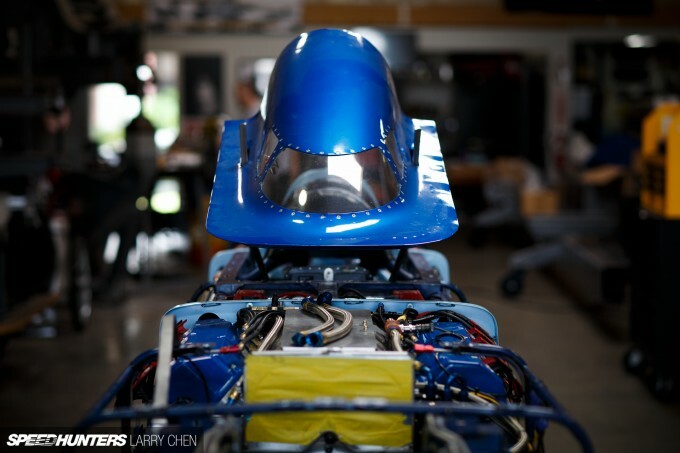 This is essentially a search for the world’s fastest street car. 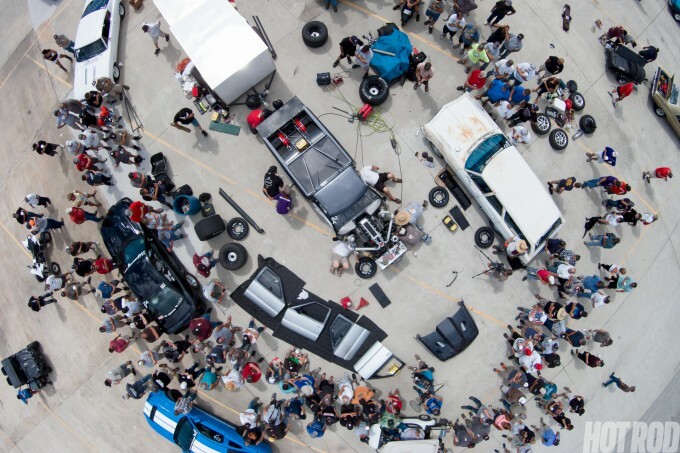 Competitors race against hundreds of cars at five tracks in five different cities. The catch? You have to drive the car from city to city, with no additional support vehicles or help. Everything you need including tires and tools and a pit crew has to fit into your car. You can use a trailer, but only if you tow it. Which means the teams go to great lengths to see what they can get away with. After all, who is going to tell you your ride is not a street car if you drive 1,200 miles with it towing a trailer? 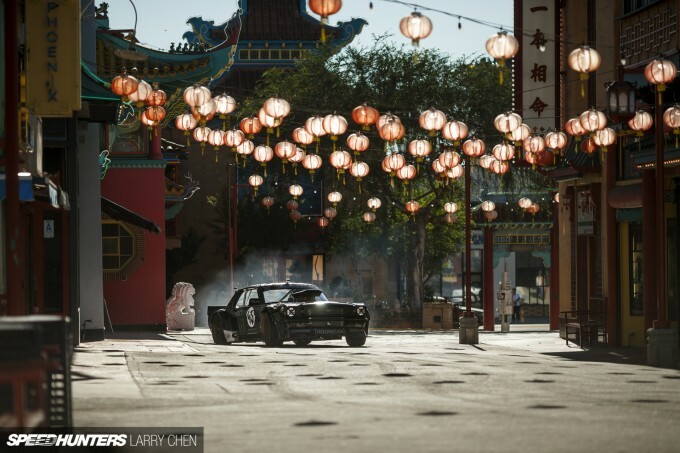 Speedhunters good friend Jon Sibal designed and built this awesome Dodge Challenger, and Mike Garrett featured it for Speedhunters. Hot Rod also wanted to feature it, so they asked me to shoot it as well. The location? The original caves where they filmed the Batman television show. 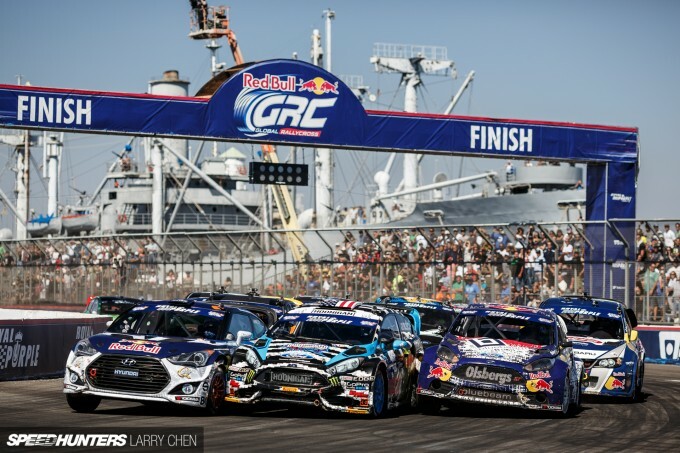 For the first time the Global Rallycross series made a stop at the Los Angeles Harbor, so you know I had to check it out. 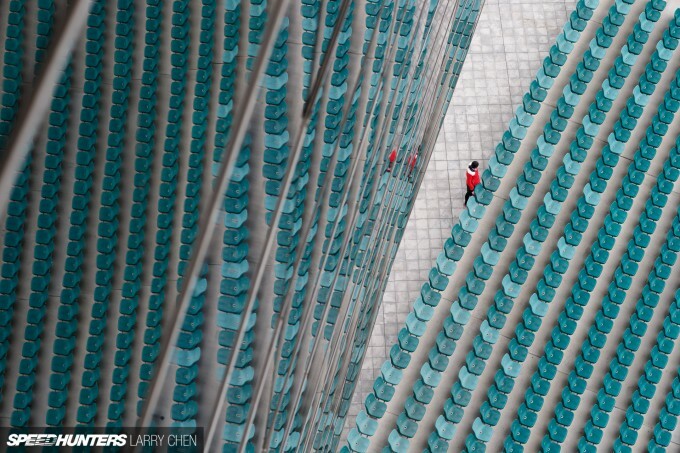 It was very fun to shoot at a totally different venue and the backdrop was awesome. 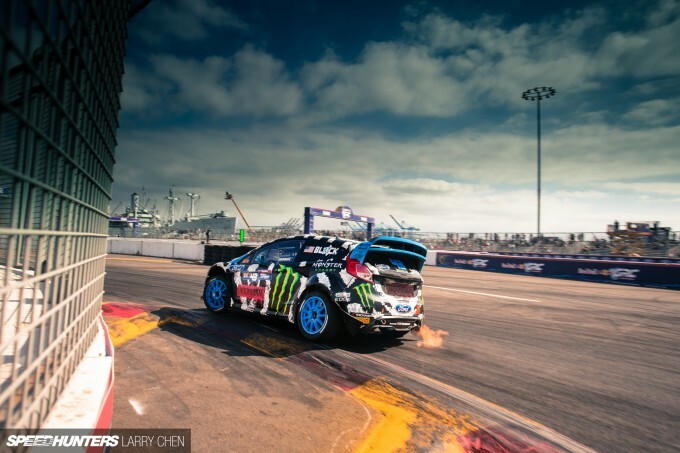 As always, it was fun to catch up with the head Hoonigan in charge, Mr. Ken Block. I also got to see him on the set of Gymkhana SEVEN as well as in Spain for a WRC round. In between shooting events and car features, I made a trip out to Singapore to display my very first photo gallery. The locals came out in force and were very welcoming. While I was there I had to check out the car culture, and discovered how hard it is for them to enjoy their passion for cars. 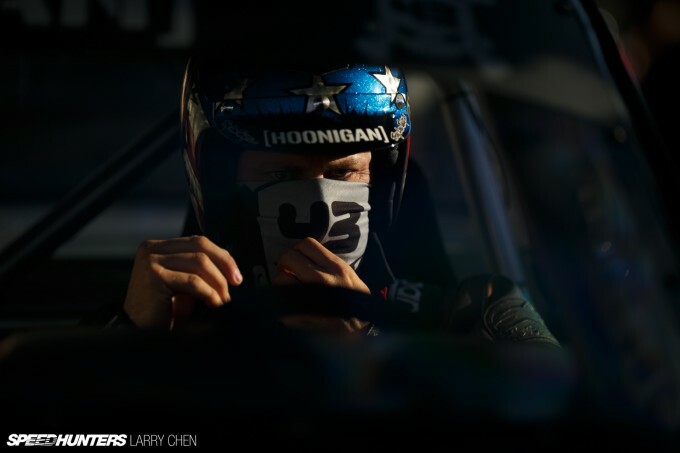 I’ve seen a lifetime worth of cool things working with Speedhunters, but watching Ken Block hoon an AWD Mustang around my hometown takes the cake. It’s so fun for me to work with Ken. He understands media and the need for quality content. At the same time he is a true car and racing nut. Ken just loves to be behind the wheel, and he really loves his job. 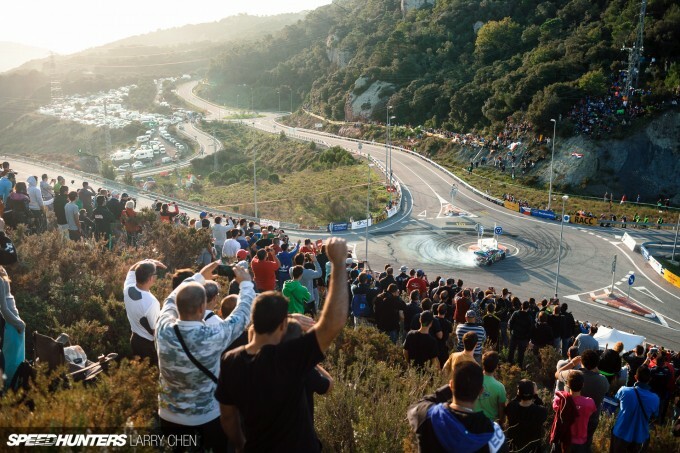 As soon as I heard about the concept for Gymkhana SEVEN, I knew it was something special. I honestly think it’s the best one yet. This one is going to be a hard to top, and Ken is the only one crazy enough to do it. I just hope I can be along for the ride when he decides to pull the trigger on Gymkhana EIGHT. The real question is, when is he going to bring the Hoonicorn out for some tire-shredding action? I’m thinking it would a very appropriate car for Gatebil. What does it take to build the ultimate Toyota Supra? You think you’ve seen it all, then the guys at Twins Turbo take it another level and blow every other Supra in the world away with this creation. 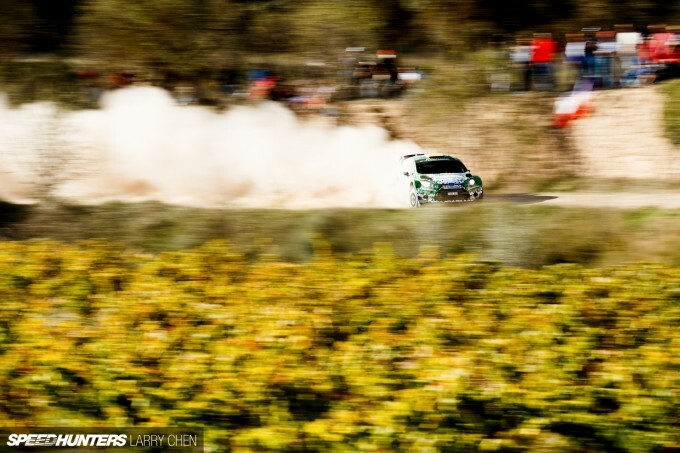 I checked a few things off my bucket list this year, one of which was to shoot a WRC stage. 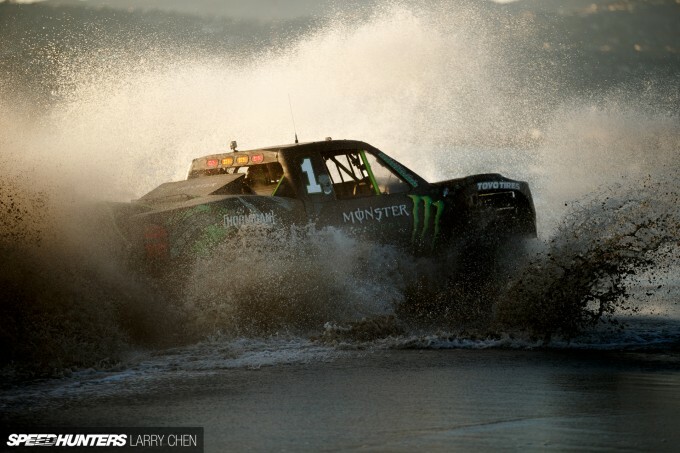 When Ken Block told me he was going to compete in one round this year, I knew I had to try to follow him. It was everything I expected it to be and a whole lot more. It was a tough event to shoot, but I will never forget it. So when is a job not a job? For those lucky individuals, work and play are pretty much the same thing. It’s always a crazy time for me around SEMA, as many builders rush to have have their creations ready for the big show, which generally means very rushed car feature shoots. Even though I only had an hour to shoot the Liberty Walk Aventador, I was very happy with the shots I got. I honestly think this was one of my best shots of the year. Out of the corner of my eye I saw some dude on a bicycle, so I just fired away hoping I caught the moment. While I was at the SEMA Show I had a chance to check out some of the cars hanging around the scene. I stumbled across this super-clean VIP build and I knew I had to shoot it. It seems 2014 was the year of the Skyline in North America as the R32 finally became legal to import. Although I have not shot any R32s yet, I did find this nice DR30 in Las Vegas. I think the car looked awesome, so it was a no brainer to feature it. There are still a few stories that I shot this year that I still need to publish. 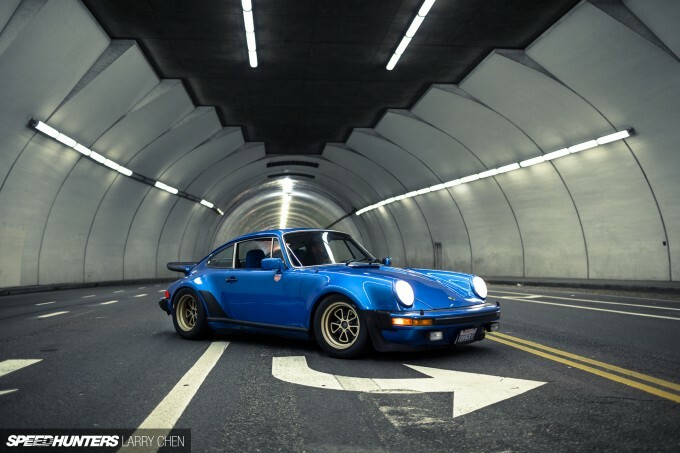 They include my take on driving a 930 Turbo versus a 991 Turbo – with Magnus Walker, of course. 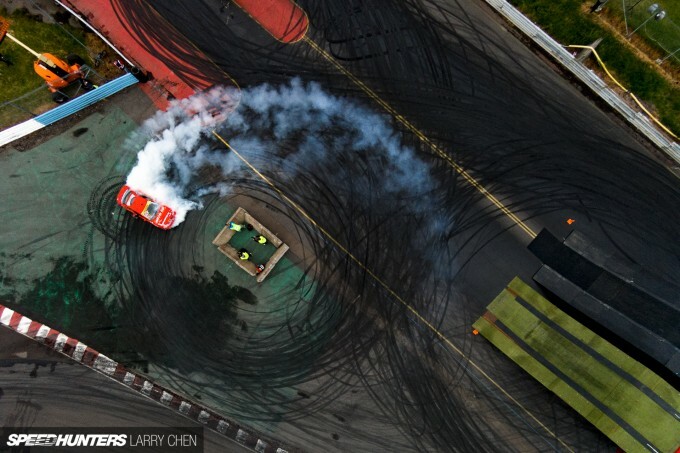 I also had the chance to head back to Asia for World Drift Series China in Guangzhou and Shenzhen. 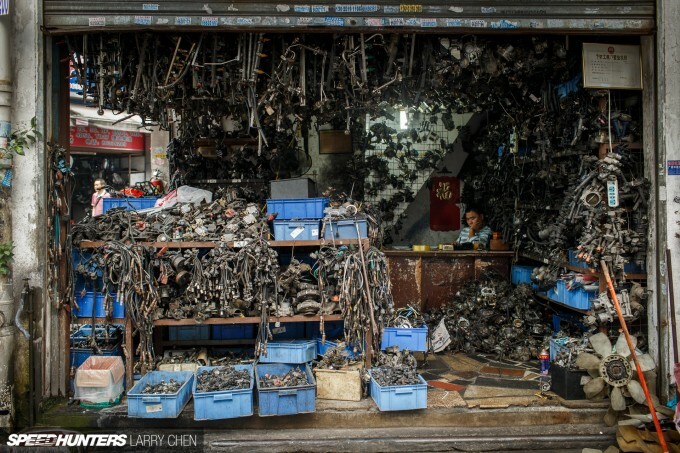 I visited some very interesting places shooting for Speedhunters, but I’ve never been to a parts market quite like this one. I will touch more on it in an upcoming post. 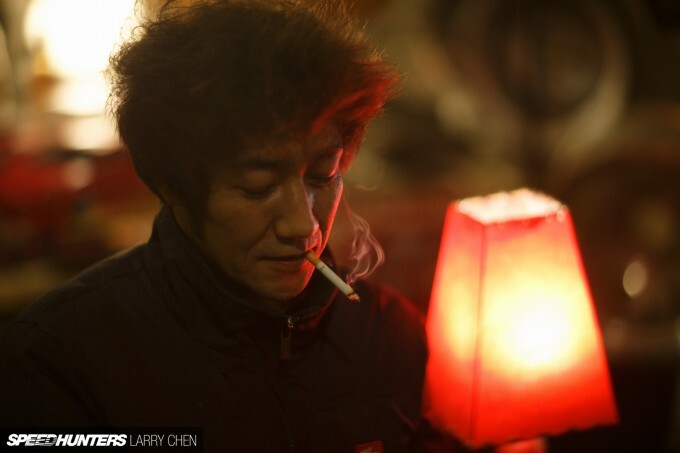 I’ve been shooting in China for half of my life. It helps me stay inspired as it’s always good to change your surroundings every now and then. 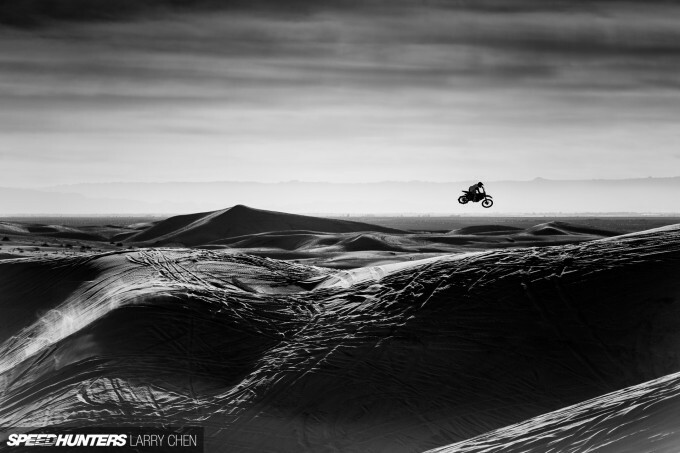 I had the chance to tag along with a few Monster Energy athletes as they had some fun in the Glamis Sand Dunes, just a few hours outside of Los Angeles. 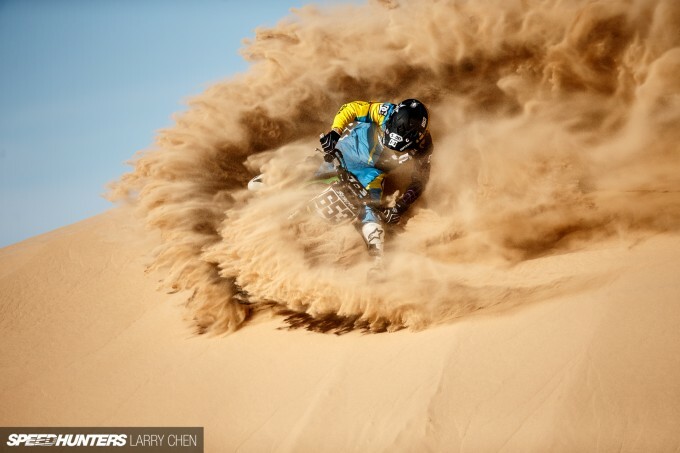 It was one of the few times where drivers and riders tackled the same dunes at the same time. Stay tuned for a full behind-the-scenes look into the sand-shredding action. I will close out this year with a photo from a shoot that has not been published yet. 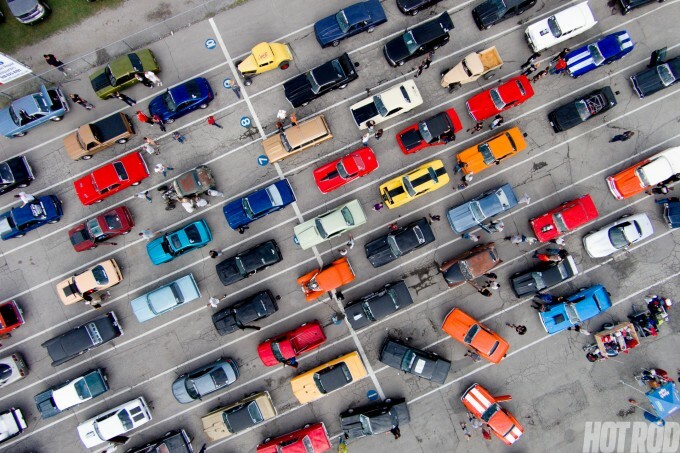 There is just so much to capture in the world of car culture, and so little time. 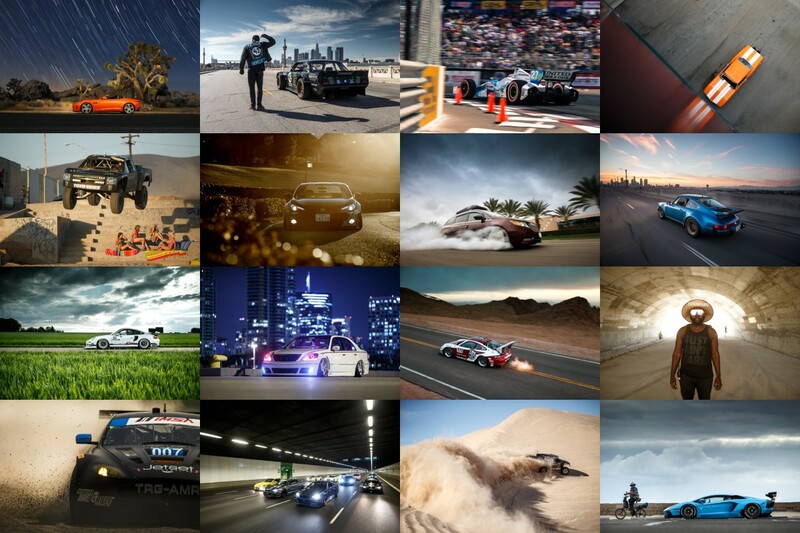 So here’s to 2015 and to another year of non-stop Speedhunting. Is that Davids car again in the image not published? ParasTumber Nope, that is another car built by Bulletproof Automotive. thanks for all the hard work. im working harder on my own deathtrap because of your awesome pictures. thank you for the inspiration sir, I wish after I graduate college I can work here with you cheers! Very refreshing photgraphy Larry! More next year! It was really refreshing to see other images (scenery and people) that you've captured along the way that aren't necessarily automotive related. You definitely have a God-given gift, sir. Thank you for capturing and sharing these stories. Great stuff Larry. 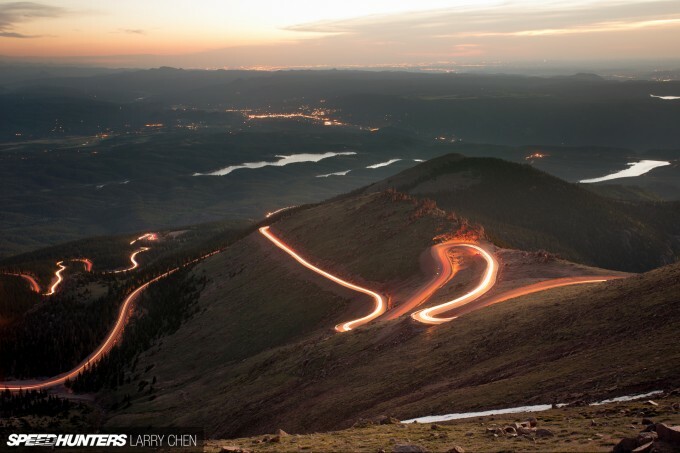 Are you planning on coming back to CO for pikes peak this year? 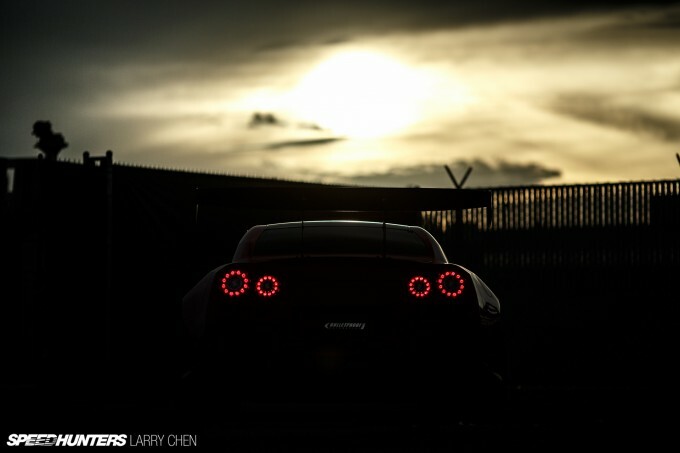 Thanks for linking the GTR story, I also appreciate opinions here. If I had to pick a word to sum that story up, it's INSPIRATIONAL. But David is not the only one. 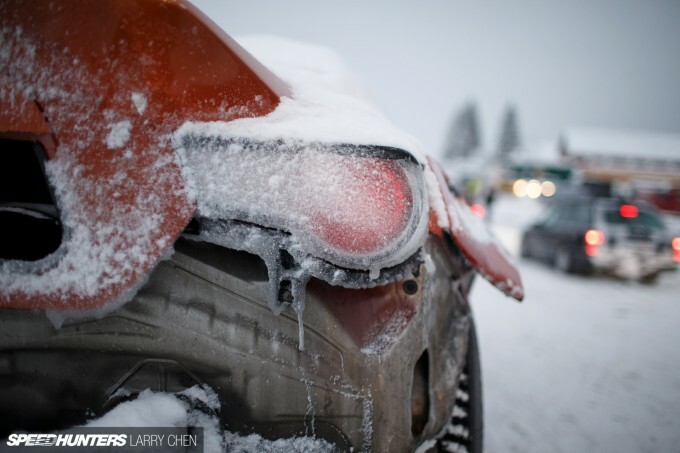 The entire staff at Speedhunters is an inspiration as well! Keep it up guys; I'm looking forward to next year! Is it possible for us to see more beautiful b&w film photos like these from the link below next year? @rafal I have some plans to do another post. It just takes forever! It takes a few hours to process and about two days to scan everything in! Although, in the end of the day, I think it's totally worth it. AndrewTaylor Thanks for the kind words. fifteen52_coneklr Not sure, I'd love to. 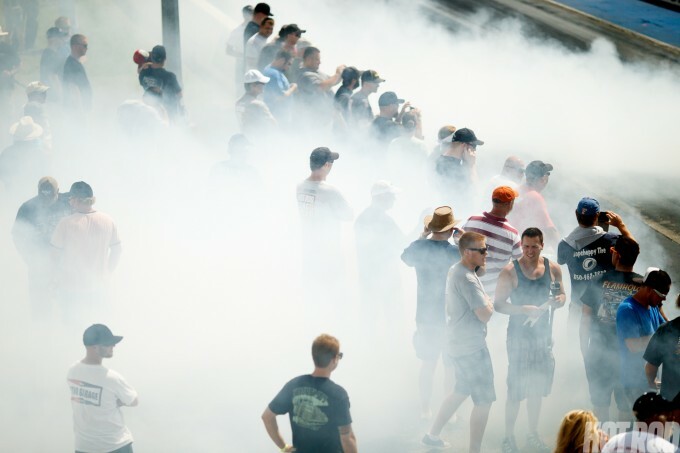 Although there is a conflict with Formula Drift New Jersey this year. It's going to be hard to miss either. silveradotx Thanks for the kind words. I feel like it's all part of the story. zapsnyder Haha, what do you mean? jonsibal Larry was preggers? damn. 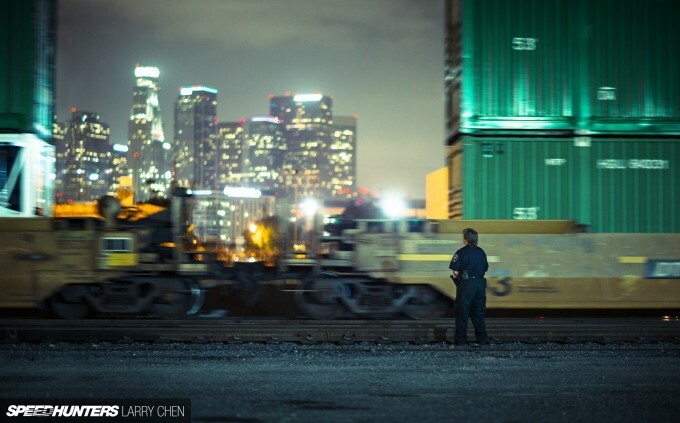 Larry Chen Thank you, I can't wait for more. 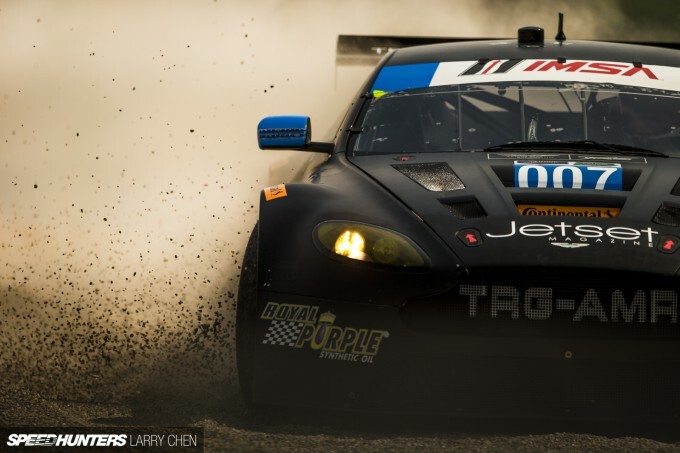 These shots from Long Beach literally destroyed me, they are amazing! whenever i read your posts or see your pictures, it makes me feel like grabbing my camera! you still remain as my benchmark for photography! Great photos as always Larry! I'm looking forward to seeing what you bring in 2015! Oh my goodness Larry. 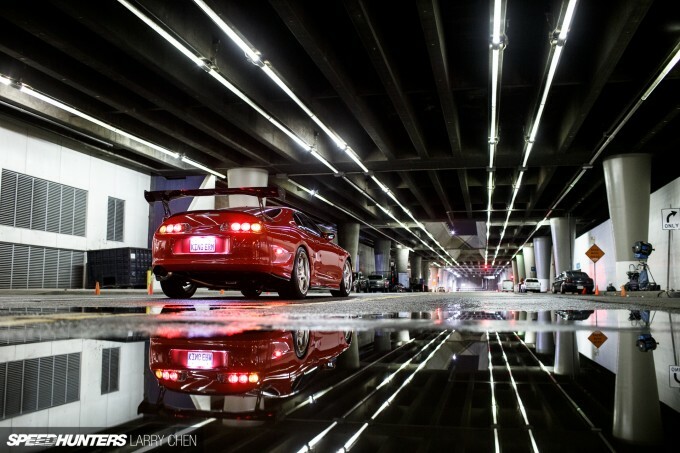 No disrespect to your fellow Speedhunters but your photos most consistently drop my jaw. I already had a number of these set as computer wallpapers. Can't wait to see what 2015 brings! Steve Hayward Thanks for the kind words! I am looking forward to pushing hard in 2015. Nikhil_P Go out and make some awesome pictures!